FREE Custom Xbox LIVE Gamercards for Xbox 360 now on 360-HQ.COM! 360-HQ.COM is proud to present the latest addition to our online gaming community, the all new "Xbox LIVE Custom Gamercard" Service. If you're not already a member on the HQ, now is the time to sign-up and grab the gamercard design of your choice. 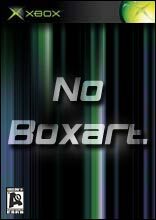 With the recent unfortunate closure of the overwhelmingly popular mygamercard.net website, and the loss of custom gamercards for everyone to embed, we have finally decided to finish our own custom gamercard system and are now offering a BETA to all registered HQ users. Hopefully our new service should bring a smile to your face, and help fill that void I know you are all feeling. 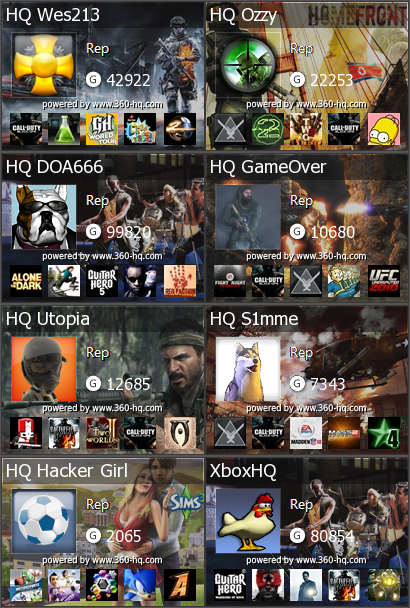 The new 360-HQ Xbox LIVE Custom Gamercards system (BETA) provides all registered 360-HQ members with custom, one-of-a-kind gamercard for all sorts of uses. Embed them in your signature, add them to your facebook or even place them on your desktop. Our new database driven gamercard system will soon let all HQ users design and submit their own gamercards for the community.. So, if you're a buddy young artist, or even an old one (lol), you can download our sample .PSD photoshop file in the official forum thread/topic here and start designing. FREE Custom Xbox LIVE Gamercards are available to all registered members on 360-HQ.COM and BBCODE is provided to copy and paste if needed. Gamercards are only currently available in .PNG format. If you have any suggestions please get involved in our forums. Stay tuned and enjoy! As the Third Age comes to a close, the lands of Middle-earth are beset by the forces of Sauron, the Dark Lord. Taking a new shape within the confines of Mordor, he will soon unleash his armies of t..